What’s The Nutritional Content Of Vermicompost (Worm Compost)? That is a very good question. The short answer is “it depends”, since different vermicomposts will have different nutrient contents. The primary determinining factor when it comes to compost nutrients is of course the starting material. 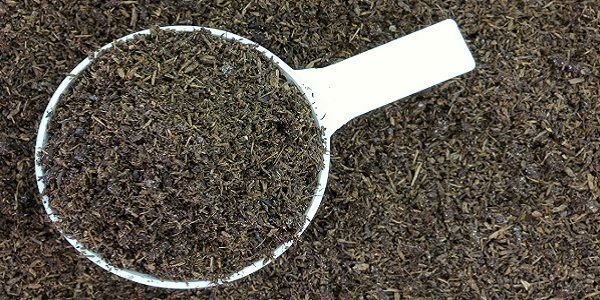 There is no doubt that a vermicompost made from paper sludge will have a different nutrient profile than one made from horse manure and wheat straw (to name one of many possible examples). For that matter, even different manure vermicomposts can have significantly different levels of nutrients, depending on the type of animals, what they were fed, what their living conditions were at the time etc. The best way to ensure a fairly uniform nutrient profile in your worm compost is to use the same feedstock, in the same proportions, from the same source every time. With all that being said though, let me at least attempt to provide you with SOME idea of the nutrient content of vermicomposts in general. “The reported range of nutrient contents in vermicomposts is quite wide, as it is in composts, although total N and P don’t appear to reach levels quite as high as found in some composts (e.g., poultry litter composts). Vermicomposts based on animal manure feedstocks typically contain 2-3% N (dry wt basis), with slightly higher values reported for biosolids vermicompost (up to 3.5% N) and lower values (<2% N) reported for some food waste vermicomposts. So, while pig manure vermicompost seems to have more nitrogen and phosphorus, the food & paper waste vermicomposts seem to have much more potassium (K) and organic C. While this should at least give you SOME idea of what you can expect, these figures definitely aren’t set in stone by any means. As far as boosting nutrient levels in composts and vermicomposts there seem to be a variety of options for doing so. One interesting approach I read about recently (Ussery, 2007) involves growing certain species of plants known for ‘mining’ nutrients. For example, both Comfrey and Stinging Nettle are very effective at accumulating nutrients and are high in nitrogen, thus growing them and then composting them with your other wastes can lead to the production of a richer end product. Another way to boost nutrient levels in worm compost is to add additional nutrients and/or nutrient producing micro-organisms. For example, Kumar and Singh (2001) found that adding N-fixing and P-solubilizing bacteria along with rock phosphate significantly boosted levels of N and P in the finished compost. I would imagine that even simply adding modest amounts of amendments like rock dust, bone meal etc would be a great way to boost nutrient levels. Moderation is definitely the key here, and I would even recommend you get your compost analyzed before doing so (maybe it is already bursting with nutrients! Anyway, hope this helps, Supravo!